A lawyer for former players who have filed lawsuits against the National Hockey League said plaintiffs in the case would not appeal a judge’s July 13 decision to deny the players’ motion to proceed as a class action. It will now be up to players to pursue their own claims against the league, said Michael Cashman, a Minnesota lawyer for former NHL players including Joe Murphy. Cashman said the several dozen plaintiffs lawyers who have worked on the case support a request made by an attorney representing the family of deceased NHL player Steve Montador to proceed with their lawsuit against the league as soon as possible, using the case as a potential bellwether. Montador’s family filed a lawsuit against the league in December 2015. Montador played for six NHL teams and died in February 2015 at the age of 35 of an undisclosed cause at his home in Mississauga, Ont. A post-mortem exam found that he was suffering from chronic traumatic encephalopathy, or CTE, a degenerative brain disease that’s been linked to repeated brain trauma. 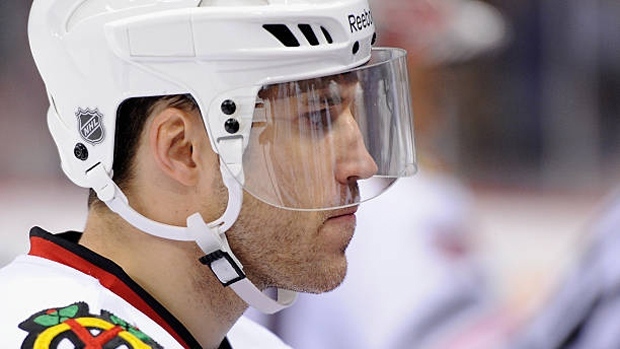 Montador played 641 games with Calgary, Florida, Anaheim, Boston, Buffalo and Chicago and was involved in 69 NHL fights, according to his family’s lawsuit. He suffered at least three concussions in six months in 2003, at least four in nine months in 2010 and at least four in a three-month period in 2012, the lawsuit alleges. The lawsuit also claims Montador suffered from significant memory issues, sleeping problems, chronic pain, a substance abuse problem, photosensitivity, mood and behavioural changes, anxiety and depression. A status hearing to decide what will happen next in the NHL lawsuit is expected to take place in the next few weeks. The NHL’s legal issues related to concussions date back to at least November 2013, when a group of former players first filed a proposed class-action lawsuit against the NHL. The players argued that the league failed to keep them reasonably safe and did not provide them with important medical information about the long-term ramifications of brain injuries. If U.S. District Judge Susan Nelson had approved the case as a class action, all 5,000 retired NHL players, as well as some families of former players who have died, would have automatically become plaintiffs in the case. Now, with the class-action status denied, players will have to come forward individually to pursue their cases. It’s possible that players will be required to file cases in the U.S. states where they now live, Cashman said. Cashman said that lawyers who begin individual lawsuits against NHL teams or the league itself would have access to information and material already obtained in connection with the proposed class-action lawsuit in Minnesota. “What’s really important is that here’s action by players who believe they have a case,” Cashman said. While more than 4,000 former NFL players joined a class-action lawsuit against the NFL, fewer than 200 former NHL players joined the NHL concussion lawsuit. Cashman said he’s still trying to understand why more former NHL players haven’t been willing to join the lawsuit. Cashman said prospective clients have told him they’re worried that they wouldn’t be invited to alumni events if they joined the lawsuit against the NHL. An NHL spokesman did not respond to an email requesting comment.